It is an organic compound in which the hydroxyl functional group (-OH) is bound to a carbon atom. In particular, this carbon center should be saturated, having single bonds to three other atoms. Methyl Ester of Castor Oil is used in place of Castor Oil in the production of hydraulic fluids. Methyl Ricinoleate is found to be of use in ethyl cellulose, nitrile rubber, nitrous and polyvinyl butyral lacquers. Methyl Ricinoleate ( methyl ester of ricinoleic acid, ricinoleic acid methyl ester )delivers additional benefits of anti- rusting and corrosion. BRAKE FLUID : It can replace diacetone alcohol with advantage – being more stable & having higher flash point. 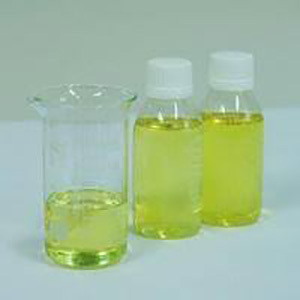 Methyl Ricinoleate ( methyl ester of ricinoleic acid, ricinoleic acid methyl ester ) is used in several lubricating formulations, cutting oils and gear oils, motor fuels, cylinder lubricants etc. Natural and Synthetic Rubber Polymers – It confers good low temperature properties & products low – durometer stocks.It also confers good electrical properties. It finds use as a component of Yarn dressing as softners to eliminate pasting process.